The infamous Andy Griffith Show theme song should be whistling through your head right now. My earliest memories of this show, is sitting in my piano teacher's den watching tv with her husband, as I waited for my own lesson. Then, the next was of watching with my dad as they were cooking dinner. Now, the funnest memory of Andy Griffith, was an unexpected day trip to Mt. Airy, NC, a few months ago. We ate at Snappy Lunch, saw Floyd's barber shop and the courthouse, bought tons of souvenirs, had orangeades at the BlueBird Cafe, and visited the local museums. 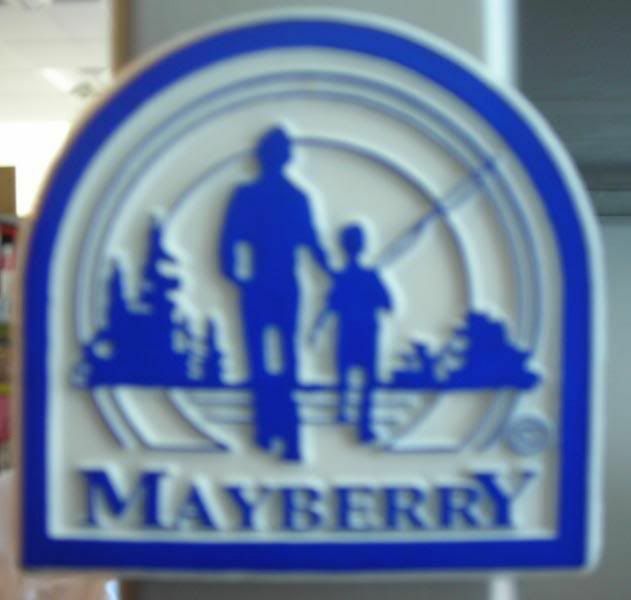 We even took an official tour of Mayberry - in a vintage Squad Car. Fabulous. Will we go back? Not unless we decide to stay in Andy Griffith's old childhood home...now owned by the Hampton Inn folks, and to let, for less than $200. Who's with me?